The Spoked Traveller | Stuff it? When I was a child, and even into my teen years, I played this mental game. I’d pretend that my house burnt down and everything in it. I’d pretend that I had nothing: gone was my sticker collection, my dolls. As a teen it was my Esprit tops or maybe that new Roots shirt I got at the Mall after working weekend shifts at Baskin Robbins. I’d try imagining what it would feel like if I truly had…only me. No stuff. Well, I find myself moving once again and this means purging stuff. As a 40-something woman, I’m playing that game again: what would it feel like without anything? And at this age, what role does stuff play in my life? I should preface this discussion, because inevitably my obsession with boots will make you judge me, and that is to say, I am the happiest when travelling with only a backpack. It makes life easier; take choosing your clothes, for example. With only a few choices, you get creative. A scarf doubles as a skirt; a black undershirt becomes a fancy night club tank. And it makes moving around easy. So little to pack up, you can head out at a moment’s notice. Gotta go! It also means that your ‘stuff’ isn’t the focus of the trip–it’s the experiences, places, and people. I would rather not focus on the stuff. As in, where do I put my stuff? ; how do I arrange my stuff, how do I clean my delicate stuffs or ensure my expensive stuff doesn’t get damaged or stolen? Stuff in its own right can be high maintenance. Back to moving; to date I sent three garbage bags of used books to a book store; don’t get me wrong, my books mean a great deal to me. But, what is the meaning of a book if not for its words and the way it makes you think and feel? So, with this in mind, I ditched guidebooks from my trips– Poland, giant South America and more. They’re dated anyway, right? Or, maybe not, says the New York Times Frugal Traveler: http://www.nytimes.com/2013/12/29/travel/planning-a-trip-guidebook-versus-the-web.html?ref=travel&_r=0). Finally, after dragging them around for almost two decades, I said goodbye to my English Literature anthologies (the ones that could double for a New York phone book). I never once reread them. Sorry Pope and Dryden. Now, I move to the magazines. Under my bed I had two giant Tupperware containers of travel mags: big beautiful British travel magazines like Wanderlust. I don’t remember a single word. Instead, it’s the exotic pictures that sent me to places like Iceland and Malaysia. Conde Naste Traveller: oh, if only I could spend $1,000 on a safari bungalow in Zimbabwe that overlooks stretches of desert. In my office, another two full boxes. Full disclosure: I kept one box of travel magazines. One. I have, however, kept the books that I know I will reread over and over again before I die: Into the Wild by Jon Krakauer; Madame Bovary by Flaubert; Bicycle Diaries by David Byrne; Bill Bryson’s A Walk in the Woods, and then of course, anything written by food icon M.F.K. Fisher and Anthony Bourdain. These are a few essentials. One bookshelf also had its own category: out of print Canadian magazines such as Elm Street, Healthy Woman and my favourite, Saturday Night. A MacLeans special tribute mag to Trudeau. Keep. In the bathroom, purging stuff was easier. Old half-used containers of moisturizer, and then three bottles of nail polish remover–all stocking stuffer presents from my mother. My mother was blessed, or in my opinion cursed, with talon-like nails. I’m a former chewer. Today, my stumps have nails, but nothing that requires three bottles of nail polish remover. Add to that, I purged three giant bags of make remover pads. Needless to say I ditched those with my eye shadow from grade nine. Pink. Icy pink. Gone. Travel momentos are harder to ditch. I mean, even if I bought a box from the foot of Mount Kinabalu in Malaysia, thinking it was made by locals only to discover that you can buy them at the airport for half the price, I still think I am losing a part of my trip memories if I throw it out. The box broke shortly after I brought it home. Keeper. 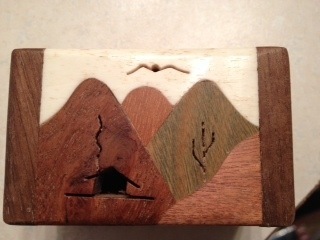 This box, a typical scene from Northern Argentina, is also a keeper. Good thing it’s only the size of my index finger. For keeps. I also have stacks of business cards. Some are tied in an elastic; individual countries get their own stack. I keep them because what if I go back to so-and-so-place and need to taste that amazing pizza again? I haven’t once done this, but the possibility that I might someday keeps them in my drawers. I used to keep sugar packages from countries but when a bottle of something leaked and turned them all into syrup, I tossed them out. 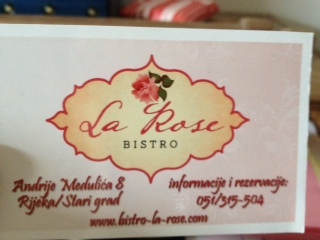 This restaurant in the seaside town of Rijeka, Croatia came highly recommended. I ate there twice in one day. Furniture: the first purchase after a break up was a bed and bureau. It’s not just any Ikea thingy or futon, which was previously the only piece of furniture I owned, it is a cherry wood bed made by Mennonites. I must keep. Must. It’s real wood; heavy wood. It is substantial. Finally, in the home decor category, I have pictures. Keepers. A poster of cartoon dogs from around the world. Got it in Sienna, Italy. The tails, hats and beverages are symbolic of their country: the Mexican dog is drinking tequila, hiding under a sombrero. Of course. 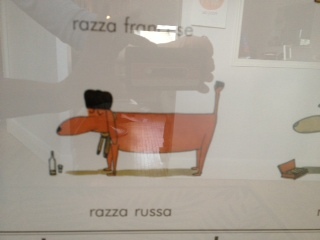 The Russian, below, has an iron fist for a tail, a pill box hat and is drinking vodka. Classic. Clothes. Where to begin? Again, the travel aspect creeps in. 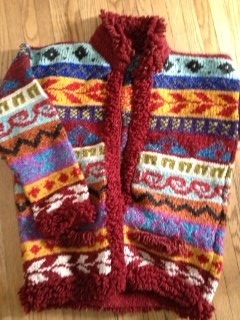 I have a sweater I bought in Otavalo, Ecuador. It’s a huge market full of colourful bags, carpet, shoes. You name it. I bought one of those traditional colourful, brighter than the sun, kind of sweaters. I have tried to throw it out three times because I rarely wore it. It makes me look like clown vomit. My reluctance: I see the colours, remember the market and pull it out of the Goodwill bag for sentimental sake. Today, I got rid of it, once and for all. I still love you Ecuador. Really. Shoes. I will never, in this lifetime, throw out shoes. Especially those green suede ballet slippers I bought from a shop around the corner from the Eiffel Tower. Perched on the toes is a mauve and green flower made from mohair. Precious. I hardly wear them for fear I will ruin them. And then, my Camper shoes. Camper is a Spanish shoe company that I discovered while in Madrid in 1996. But it wasn’t until I returned home, on a birthday shopping trip in Toronto, that my love bought me a pair for my birthday: blue suede maryjanes with little white leaves sewn all over. Or, what about the brown flats? One shoes has a dog stitched on the toe while the other has a dog. These shoes are part of series called TWINS. Each shoe is different–one might be an apple core, the other the apple. You get the idea. Boots. I do not have the time nor the space to tackle this one. My boots are off-limits. And what about the category of things that don’t make sense? I have never worn these earrings but someone, quite near to my heart, bought them for me. 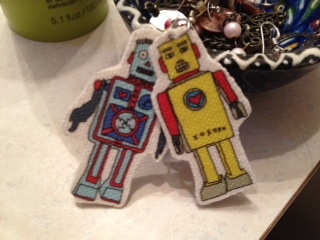 He said they reminded him of my quirkiness. Ok, I take it all back. After writing all this, I am attached. I’m in too deep. I can’t lie. I’d be heart-broken if I lost the dog poster or the green shoes. I’m finding it harder and harder to play the game of losing everything. Is this what happens when we become older? 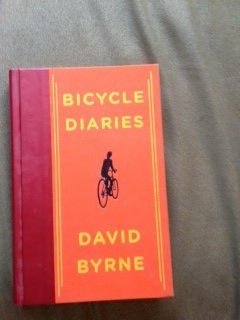 What am I without reminders of what, and where I have been? What about the things that make me feel good when I wear them or touch them? What do you think? Could you lose it all? What would you keep?